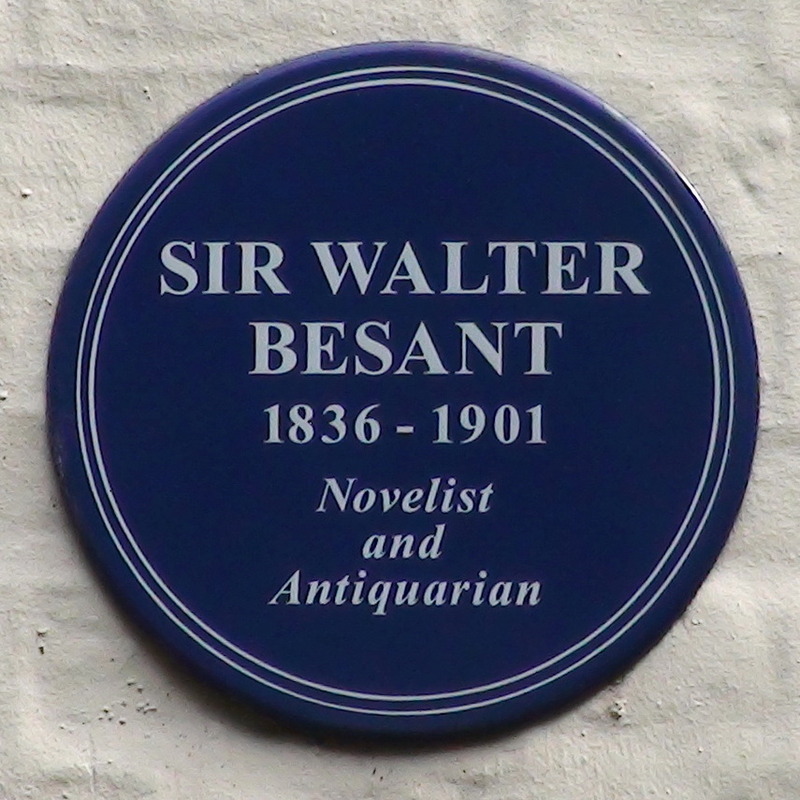 Sir Walter Besant, 1836 - 1901, novelist and antiquarian. 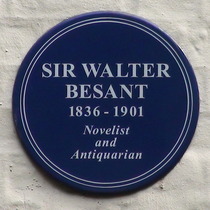 In 1892 Besant built a substantial house just to the east of this one, where there is an official, significant plaque. We can find no reference on-line to him also having lived in this earlier, much smaller property. Perhaps he lived here briefly while his house was being built. LCC Benjamin Disraeli, Earl of Beaconsfield, born here, 1804. Plaque unveiled by Tony Benn.